When you purchase from DSL-Warehouse Enterprise via the DSL-Warehouse.com web site you are acknowledging your awareness & agreement of our Return Policy, instructions and guidelines. Please refer to the terms and instructions provided below regarding product returns, exchanges and RMAs. If you need additional information please contact us. In order for DSL-Warehouse.com to offer the lowest price on DSL and broadband hardware, we only accept returns for hardware failure reasons. We DO NOT offer a return capability for operability issues with your carrier or network, or any other reason than hardware failure. Cancelled orders after shipment by DSL-Warehouse.com are not returnable. PLEASE NOTE : The following terms and conditions are applicable to all orders. Most DSL-Warehouse products come with 1-year, 2-year, or 5-year as well as lifetime warranties. We also offer extended and enhanced warranty options. Refurbished products include a 90 day warranty, with an option to extend the warranty to 1 Year for a small additional one time fee. 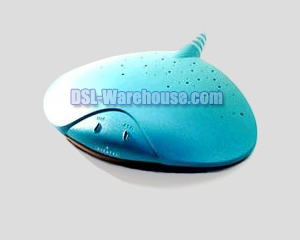 All standard stock products are backed by DSL-Warehouse’s reliability guarantee. Any DOA unit will be exchanged from DSL-Warehouse’s stock for an immediate brand new replacement unit. In addition, if the item ordered does not completely satisfy your requirement, simply notify us within 15 days of purchase and we will swap out the unit for the correct product. Many orders are considered "Special Orders." This is true whenever we or the manufacturer is making special efforts to manufacture, obtain or ship and order specifically for a defined purchase order. These orders are non-cancelable and full delivery of special orders must be taken and paid for. Advance deposits are usually required for special orders. Special Order items are non-refundable and non-returnable. All returns will include a minimum of a 30% restocking fee, unless the returned item is a standard stock item (not a special order item), is returned within 15 days of original shipment, and is accompanied by an offsetting order totaling at least the dollar value of the returned items. All credits issued are store credits only, there are absolutely no refunds. All credits issued expire 90 days after the date of issuance if not used for a specifically identified purchase within the 90-day period. All store credits must be presented to DSL-Warehouse for specific use at the time of purchase and must include the original credit invoice to be used. When applicable shipping and handling charges are added to your order (invoice). The charges include the actual freight, insurance charges and COD charges. Additional charges may be billed for DIM charges, Fuel Charges, Address Changes, and Import Duties and Taxes that may have been incurred. All returned products MUST be 100 Percent Complete Products must be returned in their entirety to include: original manufactures product boxes and packing materials. Boxes must have original UPC codes intact. All Cables, Software, Manuals, blank Warranty Cards and any other accessories and/or documentation originally provided by the manufacturer, DSL-Warehouse, IDPC or DSL-Warehouse.com. DO NOT mark-on or disfigure manufactures product boxes. DO NOT use the manufactures original product box as a shipping carton. Returns should be packaged inside an appropriate shipping carton and ship in a manner that will prevent damage while in transit. DSL-Warehouse Enterprise is not responsible for or liable for any damages incurred during shipping. DO NOT mark-on or disfigure Merchandise. Do Not use Markers, Paint, Stickers, Ballpoint Pens, etc to write-on or mark-on products. DO NOT write notes or RMA numbers on the product, manufactures product boxes or in/on manufactures documentation including but not limited to; Users Manuals, Quick Start Guides and registration cards. DO NOT affix Labels, Stickers or Tape of any kind to the actual product or Original Manufactures Product Boxes. All Incomplete Returns, or returns with disfigured products, manufactures products boxes, documentation, accessories and/or software will be subject to a 30% (minimum) restocking fee. ALL hardware returned MUST have an authorized RMA number, any items returned without an authorized RMA number will be refused and/or returned. No Credits or Exchanges will be given for returned merchandise without a proper RMA, authorized by DSL-Warehouse Enterprise. Customers are responsible for inbound shipping costs on returned items. If you believe that the product that you received was defective upon receipt, you must call us at 1-301-924-7400 ext 25 for technical support. Click here to request an RMA. Please contact technical support prior to submitting your request for an RMA. Technical support is available Mon-Fri 9:00 AM to 5:00 PM Eastern at 1-301-924-7400 ext 25. As an alternative you may also contact technical support by using our on-line technical support request web form. The Technical support web form can be accessed by Clicking Here. Returns received without a valid RMA number will not be accepted. RMA's are valid for 30 days from the date of issue. Returned products must be shipped during the 30 day RMA issue period. RMA's received with a postmark date after the 30 day issue time frame will not be accepted. The Customer is responsible for all shipping charges on returned items. It is strongly recommended that you fully insure your return shipment in the event it is lost or damaged. It is also recommended that you use a carrier that can provide you with proof of delivery. If merchandise is noticeably damaged as it is being delivered to you, it is best to REFUSE it back to the carrier attempting delivery. If you accept the package make sure that it's noted on the carrier's delivery record in order for DSL-Warehouse Enterprise to file a damage claim. Notify DSL-Warehouse Enterprise immediately to arrange for a carrier inspection/pick up of damaged merchandise. If you do not notify DSL-Warehouse Enterprise of damaged goods within the first 5 days of arrival, our regular return policy will override any claim of damage, and will fall under all current manufacturer restrictions. Call +1 (888)-4WAN-LAN and ask for your account representative to arrange for carrier inspection and a pick up of the damaged merchandise. DEFECTIVE returns may be returned within 30 days from the invoice date at DSL-Warehouse's discretion for: credit, replacement, exchange or repair. Manufacturer's restrictions may apply. You must have an authorized RMA number prior to returning any merchandise. NON-DEFECTIVE returns may be returned within 15 days from the invoice date at DSL-Warehouse Enterprise's discretion for either credit or exchange. All NON-DEFECTIVE returns are subject to a 30% (minimum) restocking fee, includes Refurbished and New products. You must have an authorized RMA number prior to returning any merchandise. REFUSAL of returns, DSL-Warehouse reserves the right to refuse any return that fails to follow any of the instructions, and terms stated on this page. DO NOT use the manufactures original product box as a shipping carton. Returns should be packaged inside an appropriate shipping carton and ship in a manner that will prevent damage while in transit. DSL-Warehouse is not responsible for or liable for any damages incurred during shipping. Success Is a Vehicle Which Moves On a Wheel Named "Smart Wor ..